Don't call his name three times! 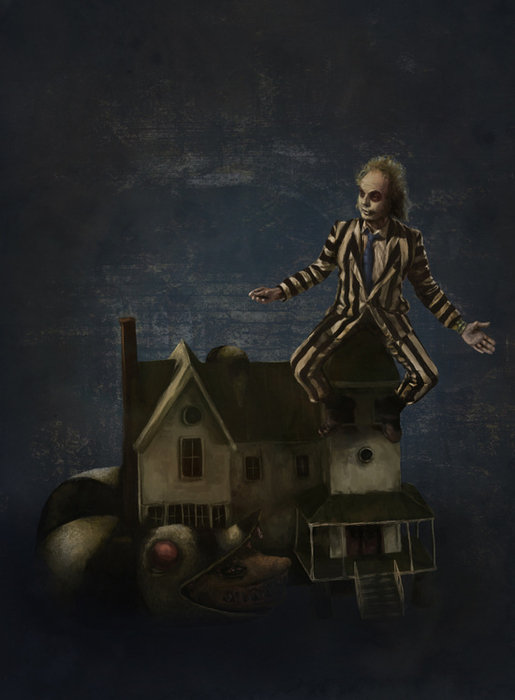 Beetlejuice comes to "life" in this realistic digital painting. The classic film directed by Tim Burton tells the story of the recently departed who have become ghosts, and their journey through the Netherworld and our world.